Look for big discounts on the Patriot, especially as a new model is imminent. The best value here is in a more sparsely equipped Sport, but the Sport SE provides a few nice creature comforts for not much more money. For 2017, the Patriot's lineup is largely unchanged as the small crossover awaits a full redesign next year. 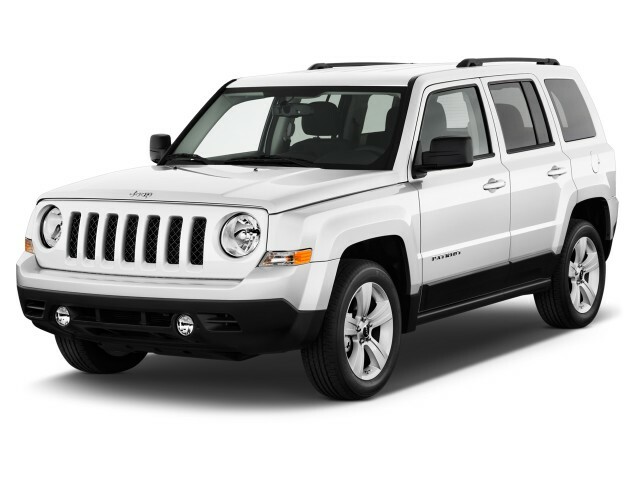 The 2017 Jeep Patriot is available in Sport, Sport SE, 75th Anniversary (even though last year was the brand's 75th birthday), Latitude, and High Altitude trim levels. 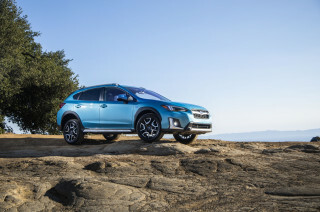 The Patriot lands in an intriguing middle ground for crossovers between mainstream models like the Honda CR-V, Subaru Forester, or Toyota RAV4, and some of the smaller models such as the Subaru Crosstrek, Nissan Juke, and Mazda CX-5. The Patriot is also essentially identical to the Jeep Compass, aside from its exterior styling. Jeep positions the Compass as a slightly more premium model, but there the differences are purely cosmetic. While the original Patriot was something of a disaster—think loud, sluggish, austere, and wholly undesirable—Jeep has found ways to make this crossover a far better, more appealing vehicle. Today, its sensibly sized package combines macho Jeep lines with enough softness and civility to make it practical family transport. It may not be the newest or best-equipped, but its value is hard to deny. The Patriot's boxy, trim, bold exterior yields a useful interior with good cargo space and rear seatbacks that flip forward easily to make more room. We’ve found entry and exit very easy, thanks to the tall roofline, with plenty of head room front and back—although the one surprise is that the seating position is lower than expected, with the dash high and enveloping and the roof rails especially thick. The base engine on the Patriot is a 158-horsepower, 2.0-liter inline-4 mated to either a 5-speed manual or a continuously variable transmission (CVT). The 2.0-liter engine is only offered with front-wheel drive and isn't highly recommended. Opt for the four-wheel drive Patriot and you'll net a 2.4-liter inline-4 that puts out 172 hp mated to either a 5-speed manual or a 6-speed automatic—unless you add the Freedom Drive II package to a four-wheel-drive Patriot. That package brings with it hill descent control, skid plates, tow hooks, and a few other off road goodies as well as the CVT. 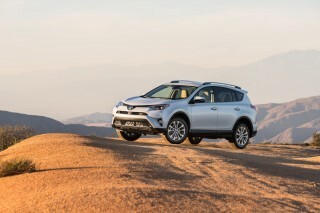 That package may sound appealing to budding off-roaders, but its inclusion of the CVT brings down drivability on streets and highways with its rubber band-like responses and a generally uncouth demeanor. The 6-speed automatic is a more recent addition to the Patriot lineup and it works exceptionally well in this application. The Patriot was treated to an interior facelift back in 2011 that improved things, but that was more than half a decade ago. All models have decent front seat room, but rear passengers won't have a lot of space for stretching out. And even with all options piled onto a High Altitude, the look and feel inside is more about durability than luxury. Given its old design, it is not a huge surprise that the Patriot lacks some of the more advanced safety options commonly found from rivals today. There's no collision avoidance tech available and while the Patriot has performed well in some crash tests, a "Poor" rating in the IIHS' small overlap test is troubling. Base Patriot Sports are sparsely equipped; you'll have to pay extra for air conditioning and power windows. 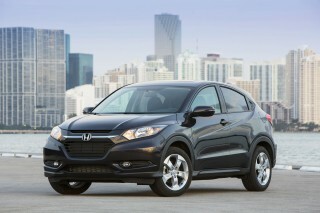 But it's also among the least expensive vehicles on the road today, which may be appealing to those on a strict budget. In base configuration with front-drive and a 5-speed manual transmission, the Patriot returns 23 mpg city, 30 highway, 26 combined. With all-wheel drive, the larger 2.4-liter, and the automatic, those numbers dip significantly to 20/26/22 mpg. Its boxy, chunky shape has aged well—sort of like a three-day beard. Thick in Jeep design heritage by borrowing some design cues from the Wrangler up front and the slab-sided profile of the old Cherokee, the Jeep Patriot has aged remarkably well. The Patriot debuted all the way back in late 2006 as a 2007 model and, aside from some very modest updates, it remains largely unchanged. There's a light macho look to it that is softened by some gentle curves and plucky standard fog lamps. 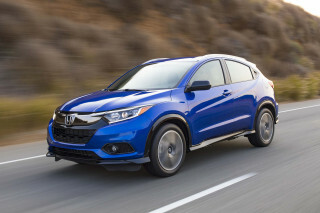 Its boxy exterior pays off some dividends inside, where its cargo area offers decent utility. Inside, the Patriot's interior is functional, but not luxurious. Clean gauges are easy to read at a glance and most switches are located about where you'd expect them, but the overall look is let down by niggling cheapness in its details. The big elephant in the room remains the Jeep Renegade, which is priced near the Patriot but offers a more modern look and feel inside and out without too many size compromises. 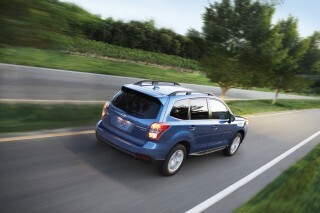 Avoid the 2.0-liter and the CVT and you'll find the 2.4-liter/6-speed automatic combo to be decent. 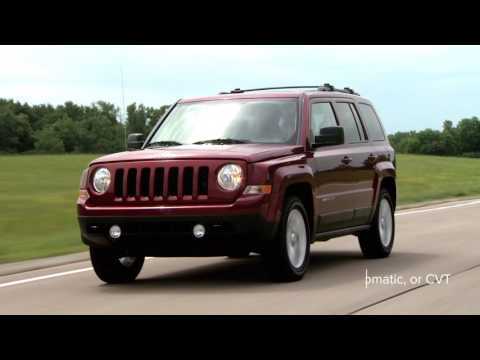 The Jeep Patriot drives a more like an entry-level small sedan or hatchback than you might expect, but it delivers a higher degree of off-road ability. The Patriot engine lineup is a little confusing, so it's worth paying close attention and test driving every variation before signing on the dotted line. Opt for the Freedom Drive II package, which is aimed at off-roaders, and the 6-speed automatic is subbed out for a continuously variable transmission (CVT). The Freedom Drive II package is also only available with the lower power 2.0-liter and not the 2.4, making it a tough item to justify. The Patriot was made a much better vehicle a couple of years back, when its subpar CVT was replaced by a responsive, smooth-shifting 6-speed automatic transmission for most of the model line. The front-wheel-drive Patriot will be fine for those looking for a pavement pounder in a sunshine state, but if snowy winters or dirt roads are in your future, the Freedom Drive I package adds a locking center differential that can split power between the axles for maximum traction. The Freedom Drive II package adds a Trail Rated badge and brings with it a simulated low range (which locks the CVT into a low ratio), skid plates, tow hooks, and a few other goodies. 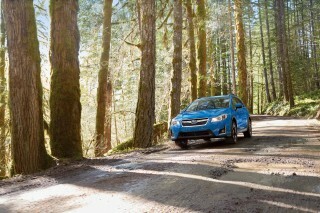 There's a decent amount of off-road capability with the Freedom Drive II package, but the CVT makes an exceptionally poor match to the 2.0-liter. An All Weather Capability package on Sport and Latitude models brings with it tow hooks and all-terrain tires, which should be sufficient for most light duty back country explorations—and allows you to keep the comparatively sublime 6-speed automatic and 2.4-liter combination. The Patriot's interior looks good, but compromises abound. The 2017 Jeep Patriot is, inside, much as it hints from the outside—tremendously useful and versatile, with good cargo space and decent space for front seat passengers. The trim, boxy, bold look indeed yields acceptable passenger space for four, with second row seats that flip forward easily, and a tall roofline to make entry and exit good even for taller passengers. You could potentially wedge a third into the middle position in back, but that person's leg space is taken up by a pair of oddly placed cup holders. The feel of the interior is utilitarian at best, although the light spruce up applied to the Patriot for 2011 helped matters out a lot. Still, as the switchgear and choice of audio systems indicate, the Patriot is a step back into a different era. Despite some improvement, the Patriot's Achilles' heel—which some will find hard to accept—is the amount of noise and vibration that enters the cabin, as well as the hard, hollow plastic panels that line the cabin with a distinct, unavoidable cheapness. Seating comfort is lackluster and none of the several upholstery choices—basic cloth, cloth/vinyl, upgraded cloth, and even leather—really help out. A "Poor" rating in the IIHS' small overlap test is cause for concern. In the government's test, the Patriot scores four out of five stars, including especially worrisome three-star scores for frontal crash and rollover likelihood. It does, however, earn five stars for side impact per the NHTSA. The IIHS, meanwhile, gives the Patriot top "Good" results in most categories—except for an especially bad "Poor" rating in the agency's tougher new small-overlap frontal crash test. Outward vision is decent in the Patriot, but its roof pillars are much thicker than many newer rivals that make use of more advanced steel. A rearview camera is optional across the lineup. No crash prevention system is available and the Patriot includes what is essentially the bare minimum of airbags—six total. The Patriot lacks fancy features, but its price is low enough to compensate. 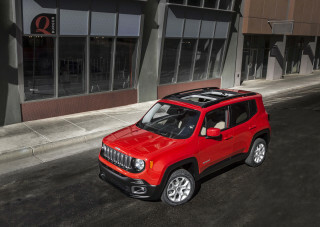 With the introduction of the Jeep Renegade last year, the Jeep Patriot saw its lineup barely pared to a still hefty five trim levels. At the Sport level, the Patriot includes cruise control, roof rails, fog lamps, illuminated cupholders, rear-seat heater ducts, tilt steering, cruise control, tinted glass, and an auxiliary input for audio. But air conditioning and power windows and locks are optional, which helps explain the roughly $18,000 base price. All models now come standard with SiriusXM Satellite Radio and Bluetooth streaming audio. The Sport SE adds alloy wheels, heated seats, and a few cosmetic items, but still requires buyers to pay extra for air conditioning and power accessories. From there, the 75th Anniversary package offered to celebrate Jeep's big birthday last year is carried over. It's also largely cosmetic, but it does include useful tow hooks, remote start, and a sunroof. Curiously, despite having seat heaters and a power sunroof, the 75th Anniversary also requires buyers to pay up for air conditioning and power windows. Notice a theme here? The Latitude trim level finally adds those features, as well as a height-adjustable driver's seat and a household-style power outlet. The Latitude is also optionally available with features like automatic climate control, a trip computer, and a Boston Acoustics audio system. Finally, the range-topping High Altitude builds on the Latitude with a number of styling add-ons plus leather seating surfaces. Front-wheel drive is standard, but there's also a choice of two four-wheel drive systems—Freedom Drive I, and Freedom Drive II. The latter includes a low range plus a heavier-duty suspension, skid plates, and other enhancements. The All-Weather Capability Group adds 17-inch all-terrain tires, an engine-block heater, and tow hooks. All four-wheel-drive Patriots include the 2.4-liter inline-4—except those with the Freedom Drive II package. At 22 mpg combined, the Patriot is thirstier than some larger and more powerful crossovers. The Jeep Patriot may strike you as compact and frugal, yet it's not necessarily any more fuel efficient than much larger SUVs. 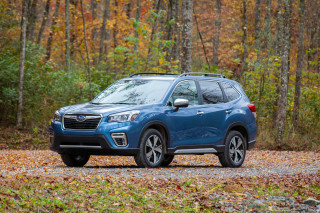 If you're looking for the most efficient Patriot, stick to the front-wheel-drive model with the 2.0-liter and a 5-speed manual, which comes in at 23/30/25 mpg. At the opposite end of the spectrum is the disappointing Freedom Drive II, which pushes those figures down to just 20/23/21 mpg thanks to its lower power 2.0-liter that has to work harder to motivate its extra weight. At just 21 mpg combined, the Patriot with Freedom Drive II is on par with the much larger all-wheel drive Dodge Durango. 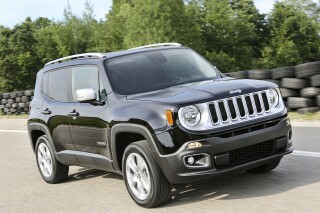 Looking for a different year of the Jeep Patriot?